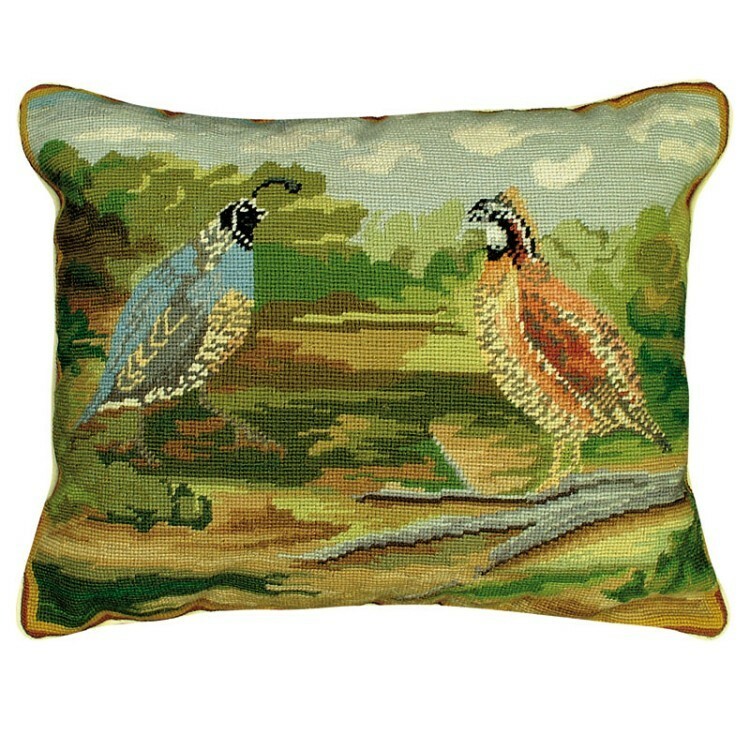 Two beautiful Quails, an Eastern and a Western Quail face in each other on this Quails in the Woods Pillow. With very realistic detail the colors are true each bird. 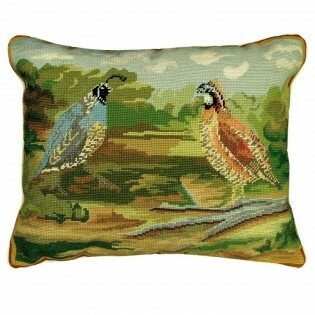 A lovely earth tone field surrounds this pair of birds.